CLEVELAND — Idaho Delegate Trent Clark believes the political unrest in America could be easily defused by fixing one issue: the economy. “I think today’s theme of let’s get to work again is actually supporting the end theme of let’s make America One again,” Clark said. 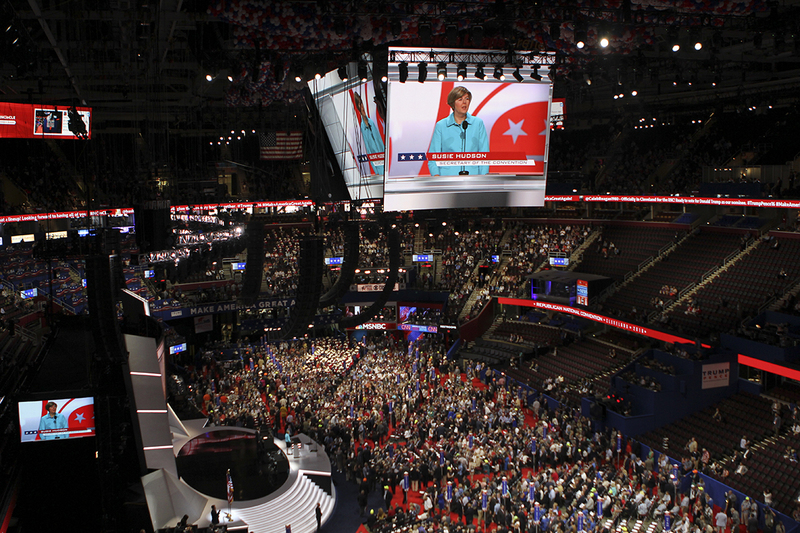 Day two of the Republican National Convention invites delegates to “Make America Work Again,” focusing on the economy and jobs. Clark believes that Idaho’s financial future is at the heart of that debate. Presumptive Republican Presidential nominee Donald Trump has spoken openly about fair trade throughout his campaign. “They devalue their currencies to such an extent that our businesses cannot compete with them, our workers lose their jobs,“ Trump said in an interview with The New York Sun. Statements like this have helped propel Clark’s interest in Trump’s trade policies. “He thinks we should say, ‘If you want access to that market, here’s the playing rules: you will not manipulate currency, you will not make us compete against people who are earning substandard wages and substandard conditions,” Clark said. But, Clark believes that addressing the economy has a much broader impact, even reaching into recent debate surrounding racial discrimination and police brutality. Clark hopes that by addressing economic issues, Idaho and the rest of the United States will be able to revitalize the US work force. According to the Bureau of Labor Statistics, Idaho’s current unemployment rate is at 3.8 percent, with 5.5 percent unemployment rates nationally.